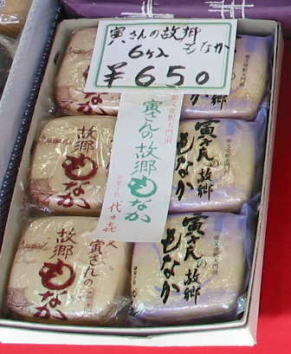 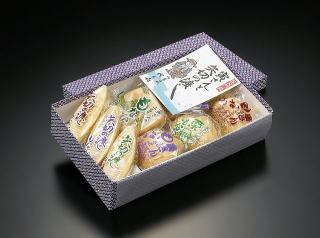 We specialize in "monaka" (sweetbean-paste-filled wafers), primarily "Yagiri no watashi monaka" and "Tora-san monaka." 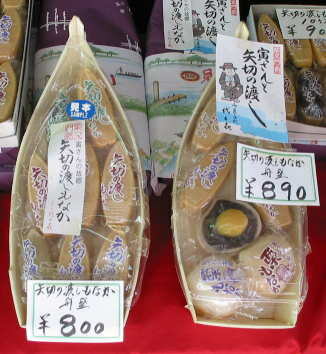 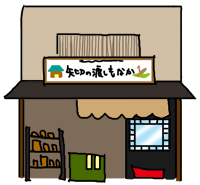 We sell other products as well including "ningyo-yaki" (doll-shaped pancake filled with sweetbean paste) and "senbei" (rice crackers). 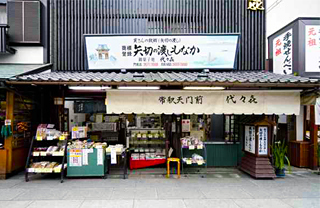 We do business in two locations; Shibamata Monzen and Keisei Koiwa (Kamakura-cho).